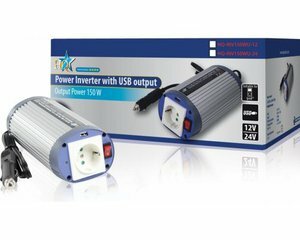 Inverter fyrir 24V rafhlöður til notkunar í bílum og bátum. Hann breytir 24V jafnspennu í 230V riðspennu eins og notuð er í húsarafmagni. Það má því setja venjuleg 230V heimilistæki í samband við hann hvar sem 24V rafgeymaspenna er til staðar. Við erum með úrval af inverterum og þarf að gæta þess að raftækin sem tengd eru við þá séu ekki aflfrekari en hann þolir. 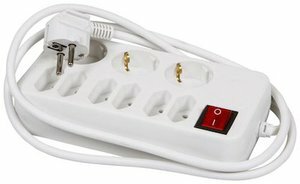 Þessi inverter framleiðir hreina sínusbylgju og þolir 300W við stöðugt álag. 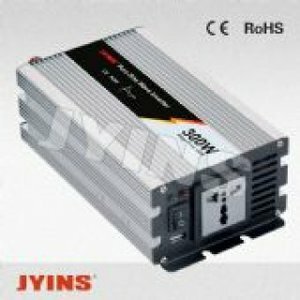 This pure sine wave inverter series converts 24 V DC battery power to real 230 V AC. 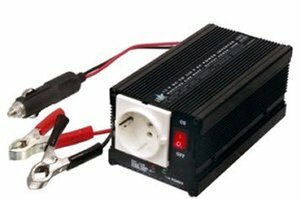 It enables the use of 230 V appliances where only 24 V DC is available (like a car or boat). 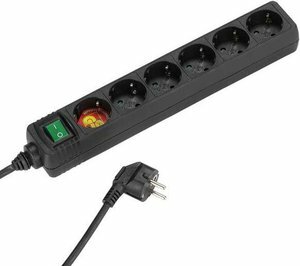 Suitable for 1x Schuko socket. This pure sine wave output is same as you get from the wall socket at home or even better. The difference between pure sine wave and the more common modified sine wave inverters is that pure sine inverters are more universal due to his pure wave output. Some sensitive appliances cannot work with the common modified sine wave inverters and will give interferences or even won't work. Pure sine inverters give also better sound and vision with audio and video devices. 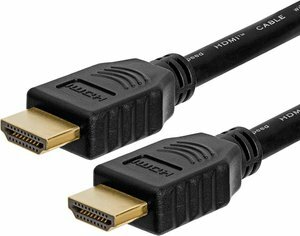 High end audio & video units, laptops, gaming systems, cordless tool chargers, kitchen equipment, equipment with variable speed motors, measuring equipment, electric shavers, oxygen concentrators, fax machines, garage door openers, other sensitive electric devices.